CCTV and surveillance technology is constantly evolving and today’s digital IP cameras provide increasingly sophisticated capabilities for monitoring, recording and reviewing activity inside and outside your property. With a wide choice of products available, understanding your options can be confusing, whether you’re new to CCTV or planning to upgrade an existing system. We’ve put together a list of things you need to ask yourself to get the right CCTV system to meet your needs. Why do I want to install CCTV? It’s essential to start with a clear idea of what you want your CCTV system to achieve. What suits your neighbour or another business may not suit you. Are you considering the investment as a deterrent to intruders and thieves? To record access to a building or car park? To monitor movement in particular areas of your property? To record activity round the clock or at specific times, for example when your property is unoccupied? You also need to think about what you want to do with the information once you have it. How long do you want to keep it? How often do you want to review it? With clear objectives, it’s easy to determine the criteria – such as picture resolution, camera focal length and image storage requirements – that will ensure your chosen system is fit for purpose. The system you choose will need to meet your needs and the footage obtained will need to be sufficient to provide a successful prosecution if a crime is committed. Essentially, a CCTV system comprises one or more cameras and either a software- or hardware-based image recording facility. Until recently CCTV cameras operated by transmitting analogue video signals through copper cables to a central location where the video signal was recorded. While analogue cameras still have their place, today’s more sophisticated IP cameras produce digital output and use IP networks to relay their images. The number and type of cameras you choose will depend on the subject and the extent of the surveillance area. How can I store images? Images can be stored on the camera itself, on a computer or on a digital video recorder (DVR). The output from an IP camera is digital and is recorded without change; the output from an analogue camera is first digitised and then stored. DVRs and computer software offer the ability to record multiple channels, ie images from several cameras at the same time, regardless of the camera type. With analogue cameras, the number of channels that can be recorded is limited by the number of physical connections on the DVR, whereas in an IP system it is usually limited by software licensing. The number of camera sources you want to record from, the image quality you require, and the length of time that you want to store those images will all influence which recording device is best for you. How can I monitor images? A key consideration in getting the right system is to know how you want to view the images from your cameras. Will you have a central control room with trained operators constantly monitoring screens? Do you want a third-party to monitor your property? Will you want to access your CCTV images remotely while abroad? Do you want to receive email or text alerts if suspicious activity is detected by your CCTV system? IP cameras can be connected to the internet to relay images anywhere, and both IP cameras and DVRs have the capability for motion detection. Do I need fixed or moving cameras? Camera housings can either contain fixed cameras, trained on a single location, or PTZ (pan/tilt/zoom) cameras that can rotate 360° and provide pre-programmed ‘tours’ of an area. Motion detectors can be added to a PTZ camera system so that the camera can respond and focus in on suspicious activity. Do I need IP or analogue cameras? While an analogue camera is ideal if you want to monitor one location from a fixed position, an IP camera is more flexible and can enable more sophisticated surveillance, recording and review. 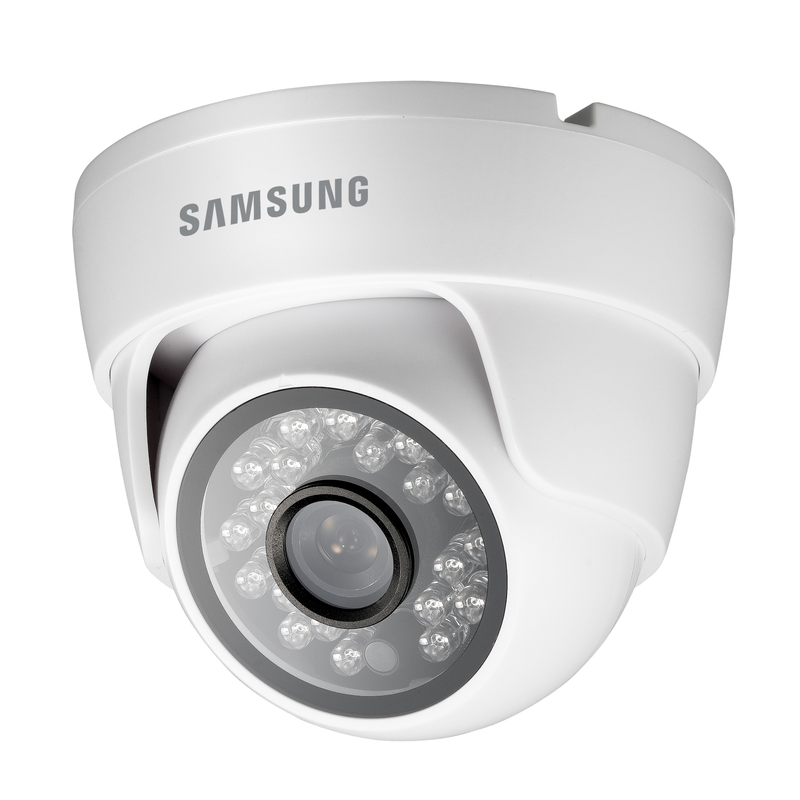 IP cameras can deliver high definition or megapixel images, which give greater detail and can cover a greater range. They can also be powered over a network using Power over Ethernet (PoE), so do not require a separate power supply. Some IP cameras have audio recording built in which allows recorded messages to be broadcast automatically to warn people that they are being watched. However, this functionality can be integrated into any camera’s housing and is not a specific benefit of IP. Both types of camera can also feature infrared technology to capture full-colour images during the day and black-and-white images in low light or even complete darkness. Should I integrate my CCTV with my other security systems? CCTV cameras can be easily integrated to enhance your security. When integrated with an intruder alarm, your CCTV system can be set to record images at a higher resolution when the alarm is set or activated. When integrated with an access control system, CCTV can provide additional visual verification that a person has authorised access. Your specific integration requirements will influence the type of camera and recording equipment you need. How do I make the most of my budget? This depends on what you want your CCTV system to achieve. IP cameras are more expensive because their image quality is better and they are more flexible, but analogue cameras are often sufficient for the job. If you only need fixed-point monitoring, a low-spec, low-cost analogue system would be the right choice. Should I upgrade to a high definition system? The need to upgrade will depend on what equipment you already have, your surveillance requirements and your budget. IP cameras can also be introduced to work alongside analogue cameras allowing you to benefit from their technology where appropriate. High definition IP systems offer up to four times the amount of pixels and are therefore four times the quality of standard analogue cameras. Analogue camera technology is currently only capable up to D1 recording see the comparison chart below. Image quality above this would require IP technology or other high definition technologies like HD-SDI or HD-CVI. If you are looking for a professional Weymouth CCTV installer covering the whole of Dorset then please contact us.